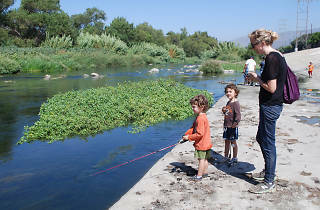 Photograph: William Preston Bowling Fishing on the LA River during FoLAR's Off Tha Hook Fish Derby. 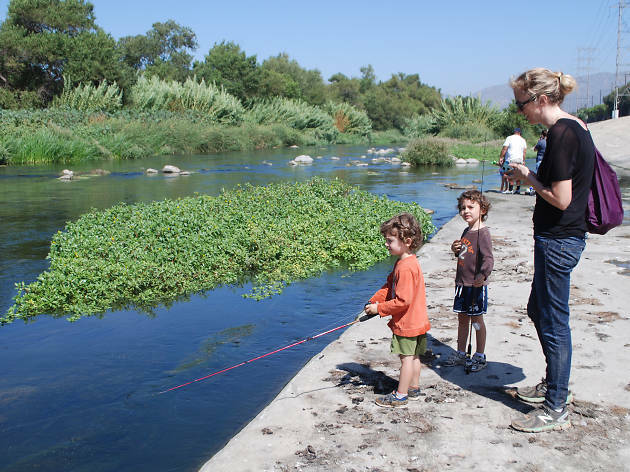 Head to the LA River for the second annual Friend of the LA River Fish Derby called "Off Tha' Hook." It's a "free" day which means no licenses are required to fish on the river, but to participate in FoLAR's Catch & Release competition, it's $35. The two categories are for weight and rarest species, and biologists will be on hand to document every fish caught. Intriguing. Kids can catch and release for free if you register ahead of time by emailing wpb@folar.org.